Hello blogoverse! 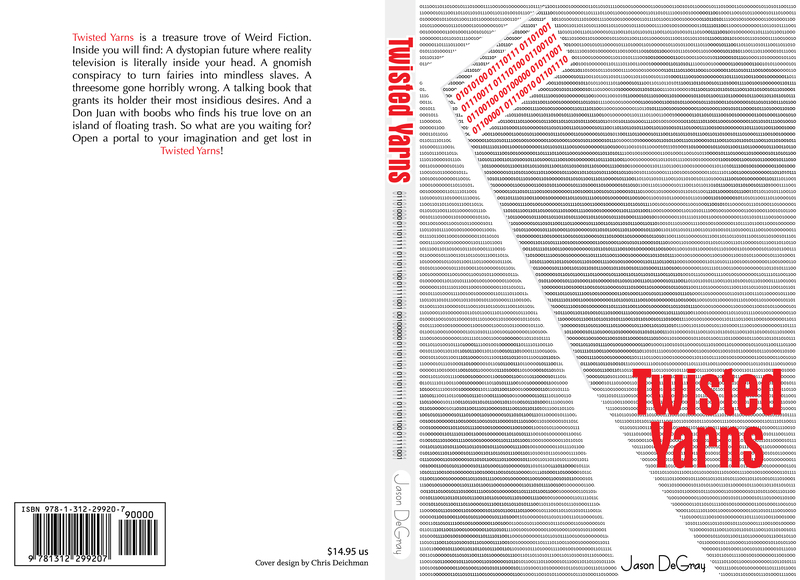 I’ve been away for a while working on my new collection of short stories, Twisted Yarns! I am pleased and more than a little excited to announce that it is now available for sale on the publisher’s site! That’s right. Now is your opportunity to delve into the warped and whimsical worlds that bounce around my imagination. And while you’re there, check out some of my other titles. Amazon and other retailer availability is coming soon. Cover design credit goes to the ever-talented Chris Deichman. So what are you waiting for? Open a door to your imagination and get lost in Twisted Yarns! Another excerpt from The Exegesis taken from the appendix to VALIS. This particular excerpt rings true to my soul. Enjoy! “The Empire is the institution, the codification of derangement; it is insane and imposes its insanity on us by violence, since its nature is a violent one. What PKD calls “The Empire” I have always dubbed “The Machine”. But my beliefs on it have matched PKD’s even before I read the passages. It’s true though. If we look throughout history at all of the uprisings, revolts and revolutions that started out with such noble and pure intentions, those rebels who came to power afterward soon turned out like the very despots they overthrew. This is part of the Machine. It eats everything around it and turns it into a lifeless extension of itself. This can be very clearly seen in the arts. Every artistic movement that has arisen has been assimilated into the Machine and turned into a mass-produced mockery of itself. The same can be said for social movements. The Beats, the Hippies, the Punks, the Occupy Movement, the Tea Party, etc. The Machine swallowed them all. Infiltrated them, labeled them and neutered their influence. Thus, in order to defeat the Empire we must leave it behind.